I started my new dollhouse project. 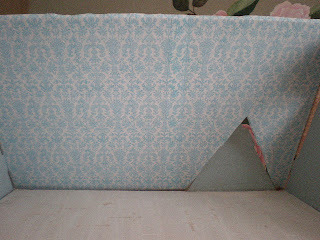 My sweet blog friend Melody of Brown Gingham Creations always sends me the best cottage pictures. 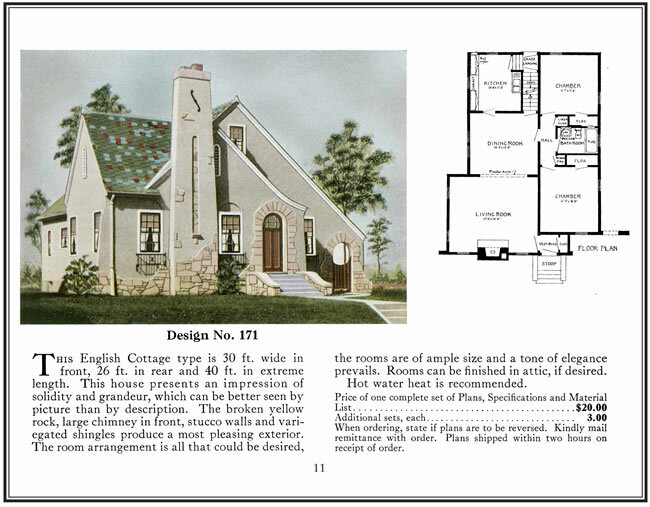 She sent me the most charming 1920s cottage. I have to try to capture this incredible little home's sweetness. 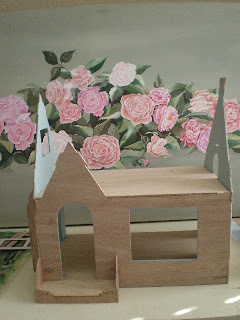 I chose to use the Sugarplum dollhouse kit to try this house. I started putting it together. 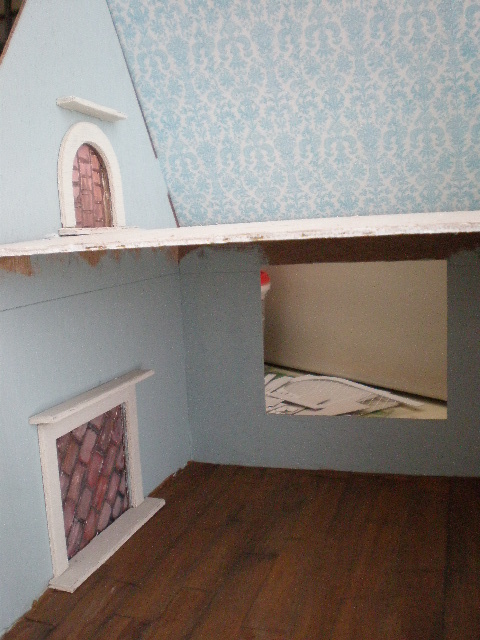 And I painted the interior walls a gray/blue color. I scored the floor with a sharp knife. 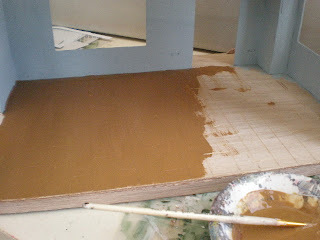 I painted the dollhouse floor with a watered down medium brown. 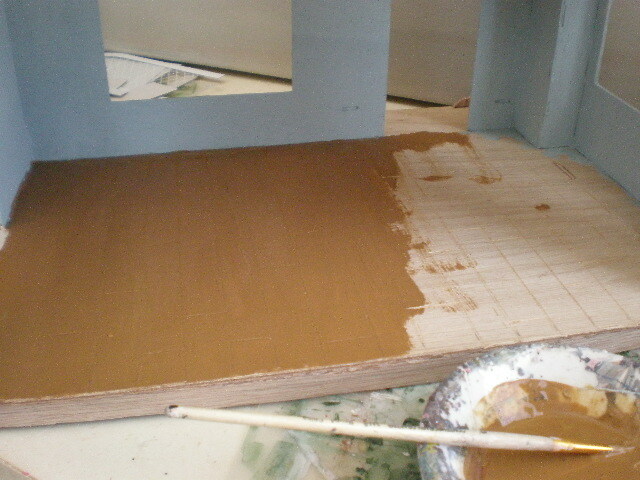 Then I added a watered down black paint to age the floor. 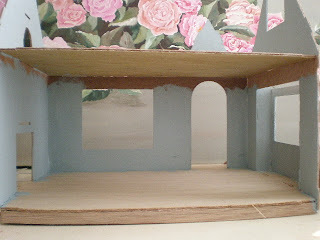 I made 2 fireplaces. The inside of the fireplaces is carved plaster. 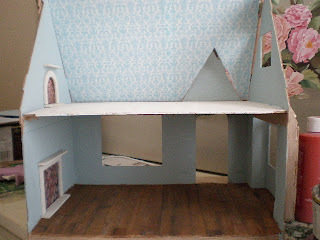 The attic has wallpaper and the same blue paint as downstairs. I Painted that floor white and aged it. 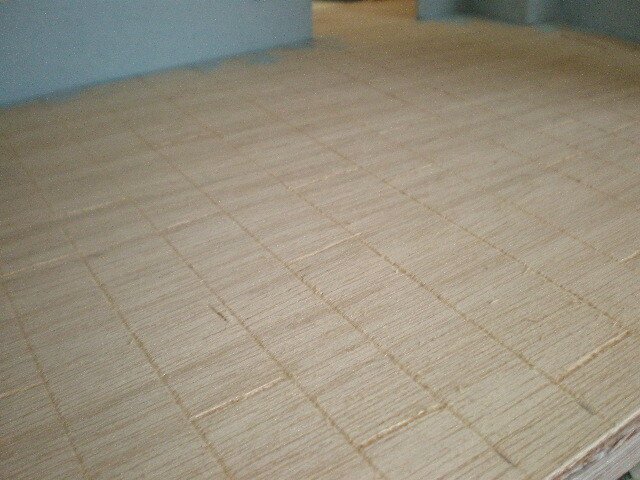 It is also scored like the downstairs floor. I can't get over how fast you work. You certainly are not a procrastinator! I like your colour choice. 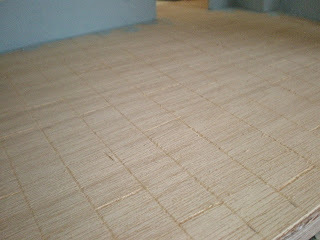 Your floors are looking great. Can't wait to see what comes next. Está a ficar linda! Estou desejosa por ver mais! Normally, someone would say: "So far, so good!" But whenever we see one of YOUR creations, we have to say, "So far, so GORGEOUS!" Can't wait for the next installment of what you have done! Que maravilla de suelo, los colores de la pared me encantan. Te va a quedar preciosa(como todas). 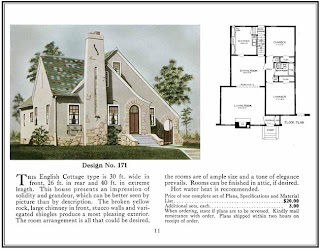 wow- I love that little cottage! I want to live there in real life- how cute is it??? 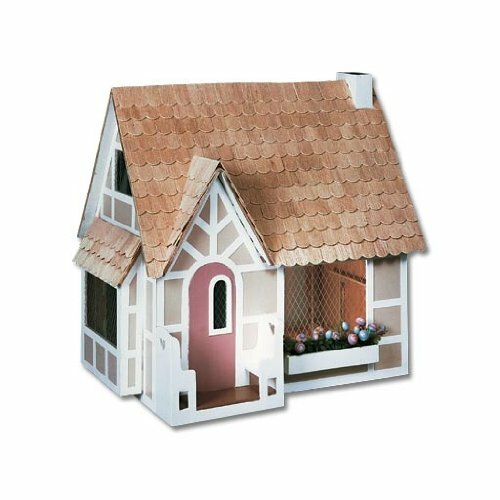 I like your house so far- the colors you are using are so soft and relaxing. I can't wait to see more! Hi! Hope all is going well! Looks like you're doing another beauty! I just popped in to see the Artist Cottage and all I can do is look with my mouth hanging open....exquisite! I'm glad you can use these..I love to see your interpretations! Very exciting! I am so very impressed with your work. I love how you did the floor! The exterior work is really amazing to see.